On Thursday, June 23, 2016 at 8 p.m., Rhode Island PBS presents Lifting Up Children and Families: Child Welfare in the Ocean State. 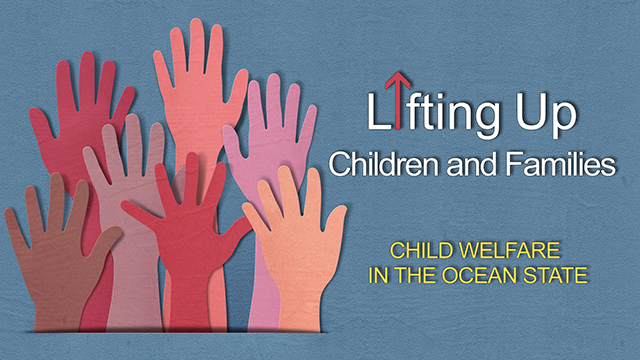 In three segments, three different panels examine services provided by the Rhode Island Department of Children, Youth, and Families (DCYF). Rhode Island Public Radio health care reporter Kristin Gourlay hosts the one-hour special. The first segment focuses on child abuse prevention and community-based resources, with Jamia McDonald, chief strategy officer for the Executive Office of Health and Human Services and acting director of DCYF, Rob Archer from Child & Family, and Anne Murphy, a Child Protective Services investigator for DCYF. In segment two, the conversation turns to Rhode Island's foster care system and features Lisa Guillette from Foster Forward, and foster parent Mary DiBiase from Providence. Over the years, Mary has supported more than 20 foster children, and adopted six. One of those children, Mary's adopted daughter April Patrick, joins the panel. The third segment takes a look at the future of the state's child welfare system. Jamia McDonald returns to the panel, and is joined by Chris Behan from the Annie E. Casey Foundation, and Rhode Island Kids Count's Elizabeth Burke Bryant. Between the in-studio segments, foster children will share comments about their experiences in foster care. As urban space shrinks, we build higher and faster than ever before, creating a new generation of skyscrapers. Super Skyscrapers are pushing the limits of engineering, technology and design to become greener, stronger, smarter and more luxurious than their predecessors. In this four-part series, Super Skyscrapers follows the creation of four extraordinary buildings, showcasing how they will revolutionize the way we live, work and protect ourselves from potential threats. Super Skyscrapers airs on Tuesdays in June, beginning June 14 at 9 p.m. on WSBE Learn. 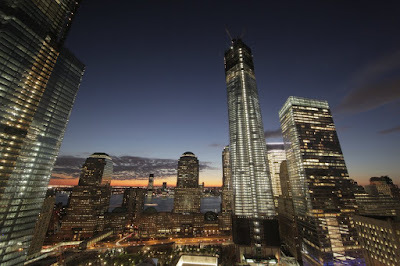 One World Trade Center, the tallest building in the western hemisphere and a famous modern landmark, is engineered to be the safest and strongest skyscraper ever built. This episode follows the final year of exterior construction, culminating with the milestone of reaching the symbolic height of 1,776 feet. For head of construction Steve Plate, as well as scientists, engineers, ironworkers and curtain wall installers, this is a construction job suffused with the history of the site and a sense of duty to rebuild from the ashes of Ground Zero. Commonly known as “the cheese grater,” the Leadenhall Building is the pinnacle of London’s avant-garde architecture. Designed as a tapered tower with a steel exoskeleton, it’s the tallest skyscraper in the City of London and the most innovative. The teams behind the Leadenhall project had to radically rethink every aspect of the traditional building model. This program follows the monumental challenges that come with erecting this super skyscraper: it will be constructed off-site, delivered to location, and stacked and bolted together like a giant Lego set. 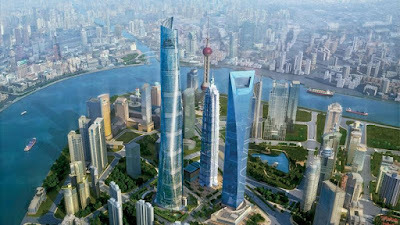 Shanghai Tower isn’t just a skyscraper — it’s a vertical city, a collection of businesses, services and hotels all in one place, fitting a population the size of Monaco into a footprint the size of a football field. Within its walls, residents can literally work, rest, play and relax in public parks, looking up through 12 stories of clear space. Not just one, however, but eight of them, stacked on top of each other, all the way to the 120th floor. 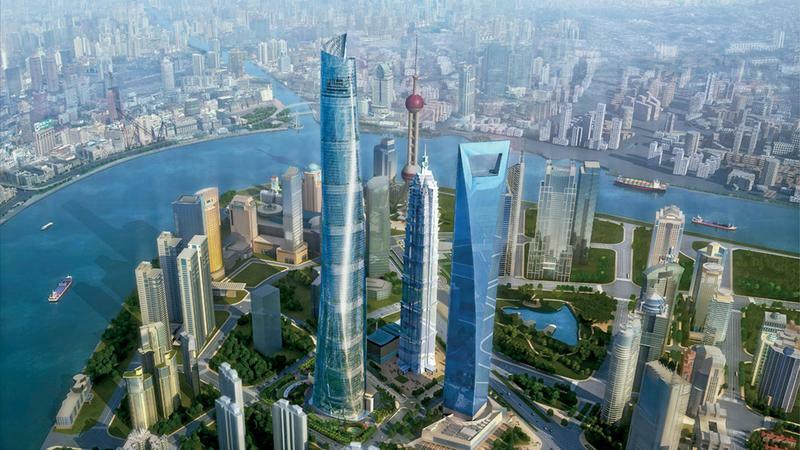 When complete, the structure will dominate Shanghai’s skyline, towering over its neighbors as a testament to China’s economic success and the ambitions of the city’s wealthy elite. Upon completion, One57, on Manhattan’s 57th Street, will rise more than 1,000 feet, making it the tallest residential tower in the western hemisphere and boasting spectacular views of Central Park. “One57” follows the teams tasked with creating New York’s most luxurious residential skyscraper and their ambition to redefine luxury living the big city. Condominiums at One57 showcase state-of-the-art interiors — double-height ceilings, full-floor apartments, bathrooms clad in the finest Italian marble and the finest material finishes. modern science. But the dark side of the miracles looms larger and more dangerous than anyone could have predicted just a decade ago. Nationally and locally, we face rampant epidemics of both opioid addiction and overdose - not of street drugs acquired in back alleys, but of medications prescribed for legitimate reasons by trusted doctors. So, how did we get here? More importantly, what can we do about this health crisis that is devastating families and communities, taxing an over-stressed health care system, and threatening public safety? These questions and more will be examined from the medical, social, and legislative perspectives on Friday, June 17 at 8 p.m. in a special Rhode Island PBS production, Prescription Drug Abuse on Community Conversations. Panelists will also take questions from the studio audience during this live broadcast. United States Senator for Rhode Island Sheldon Whitehouse will discuss the recently passed Comprehensive Addiction and Recovery Act he coauthored with Senator Ron Portman of Ohio. “In Rhode Island, I’ve seen addiction touch people in all walks of life, reach communities big and small, and claim far too many lives,” Senator Whitehouse said upon the bill’s passage. “This bill treats addiction like the illness it is. The bill will help states give law enforcement officers, health care providers, family members, and all those on the front lines of this battle a better shot at success,” said Whitehouse. Also on the panel will be Elinore McCance-Katz, M.D., chief medical officer at the Rhode Island Department of Behavioral Healthcare, Developmental Disabilities, and Hospitals (BHDDH); Papatya Tankut, R.Ph. vice president of pharmacy affairs at CVS Health; and Fred Trapassi, Jr., vice president of Rhode Island programming at Phoenix House. The moderator will be Nicole Muri from Rhode Island PBS. The public is invited to be in the studio audience to watch the live broadcast at Rhode Island PBS, 50 Park Lane in Providence, RI. Space is limited and advance reservations are required. Interested public may register through visit ripbs.org. Light refreshments will be served at 7 p.m. before the broadcast from 8 - 9 p.m. 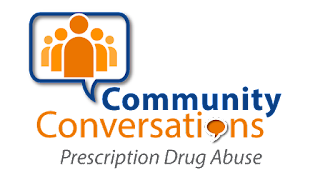 Prescription Drug Abuse is made possible by CVS Health, and is a presentation of Community Conversations, a Rhode Island PBS public affairs series about issues that impact our individual and collective well-being and quality of life in Rhode Island. Carol Burnett's Favorite Sketches - Yours, Too? Join beloved funny lady Carol Burnett as she presents her personally-selected favorite moments from her long-running variety series The Carol Burnett Show on Saturday, June 4 at 8:30 p.m. Laugh along with Carol and her hilarious troupe of regulars Harvey Korman, Tim Conway, Vicki Lawrence and Lyle Waggoner, and special guests Steve Martin and Betty White. The soap opera parody pokes fun at the alien visitation classic Close Encounters of the Third Kind with guests Steve Martin and Betty White. The famous sketch with Harvey Korman as the very first patient of nervous dentist Tim Conway, who just got out of dental school and accidentally injects himself with Novocain. Ranking as of the greatest sight gags in TV history: Starlet O’Hara (Carol) appears in a dress made from curtains in this famous Gone With The Windparody. Carol satirizes Norma Desmond from Sunset Boulevard as an actress looking for a career via a Knock ’Em Dead bug spray commercial. Slave ship taskmaster (Lyle Waggoner) assigns a rowing partner in the form of “The Oldest Man” (Tim Conway) for one of his men (Harvey Korman). Mr. Tudball and his secretary Mrs. Wiggins are up to their old shenanigans trying to implement a fire safety program. A hilarious visit from the most notorious snoop in Canoga Falls. After the June 4 premiere, Carol Burnett's Favorite Sketches airs on June 12 at 5:30 p.m., Thursday, June 16 at 10 p.m. Please check your local listings for additional dates and times. Ethics legislation - do these bills go far enough? 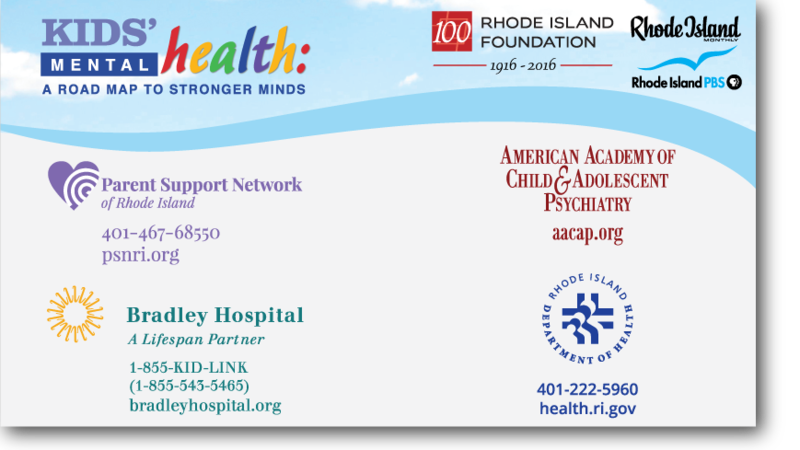 The conversation, presented by the Rhode Island Foundation, was inspired by “Child, Interrupted,” a story in the May issue of Rhode Island Monthly that delves into the state’s pediatric mental health care system. As revealed in the story, children’s mental illness is a problem that affects individual families and the state as a whole. Click here for the latest data on children’s mental health from RI Kids Count. In no small part, that sentiment inspired Kids’ Mental Health: A Road Map to Stronger Minds, a conversation about our deteriorating mental health system, trauma, stigma and ways to help families in need. During the one-hour premiere, parents, caregivers, educators, and other interested viewers are invited to call in and consult peer mentors — who are parents of children with mental illness — about strategies for working with schools, advice on treatment options, and resources available through the Parent Support Network. Moderated by Casey Nilsson, associate editor at Rhode Island Monthly and author of the magazine article, the discussion was taped before a studio audience of parents, mental health advocates, and members of the community. In the final quarter hour, panelists answered questions from the audience, and questions submitted in advance by email. Kids’ Mental Health: A Road Map to Stronger Minds will encore on Saturday, May 21 at noon and 11 p.m., and on Sunday, May 22 at 6 p.m. as part of the ongoing Rhode Island PBS series, Rhode Island Stories. The Rhode Island Foundation is the largest and most comprehensive funder of nonprofit organizations in Rhode Island. In 2015, the Foundation awarded $41.5 million in grants to organizations addressing the state’s most pressing issues and needs of diverse communities. Through leadership, fundraising and grantmaking activities, often in partnership with individuals and organizations, the Foundation is helping Rhode Island reach its true potential. Based in Providence, RI, Rhode Island Monthly Communications, Inc. is Rhode Island’s leading full-service publisher of magazines and specialty publications, including custom publishing projects. Products include several lifestyle and tourism publications serving residents of – and visitors to – Rhode Island and Southeastern Massachusetts. 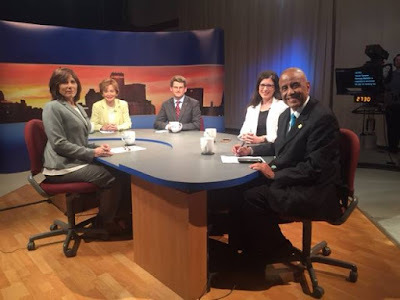 WSBE Rhode Island PBS is operated by the Rhode Island PBS Foundation, a non-profit 501(c)(3) organization. WSBE Rhode Island PBS is a viewer-supported member of the PBS network of public broadcasting stations, and uses the power of noncommercial media to educate, engage, enrich, inspire, and entertain viewers of all ages in Rhode Island, southeastern Massachusetts, and eastern Connecticut since 1967. WSBE-TV delivers content on three channels: Rhode Island PBS (digital 36.1), Learn (digital 36.2), and Spanish-language content on Vme (36.3). For more information about programs and education services at WSBE, visit www.ripbs.org. 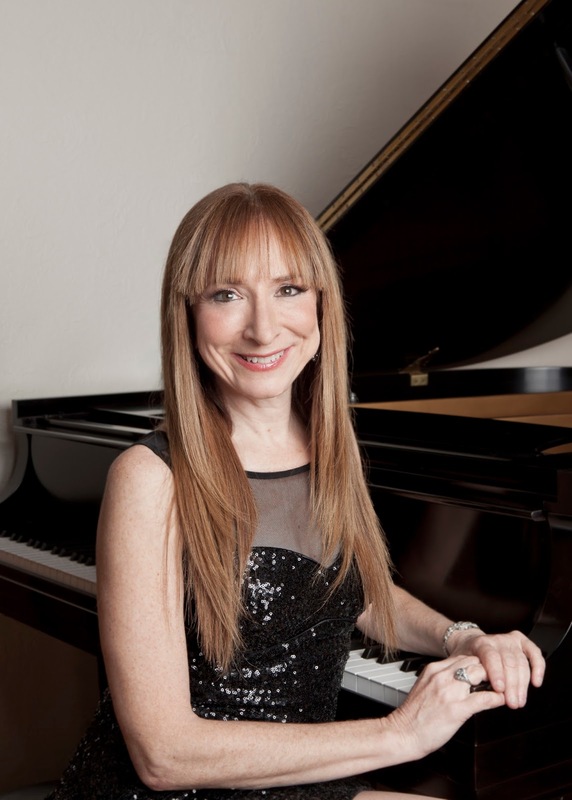 Armenia 100: Honoring Armenian Cultural Arts in Commemoration of the Genocide Centenary is a musical, theatrical, and artistic tribute to Armenian culture created by composer and acclaimed pianist Judith Lynn Stillman. Staged at the Nazarian Center for the Performing Arts at Rhode Island College, the multimedia performance was taped and makes its television debut on Rhode Island PBS on Thursday, May 12 at 8 p.m., with encore broadcasts on Saturday, May 14 at 12:30 a.m., and Sunday, May 15 at 5:30 p.m. as part of the ongoing series Rhode Island Stories. (Please note earlier start time for Sunday's broadcast). The documentary also airs on Learn on Tuesday, May 17 at 8 p.m., Wednesday, May 18 at 3 a.m. Thursday, May 19 at midnight, and Friday, May 20 at 2 a.m. The sweeping concert event combined visual and performance artists, with works by Armenian composers, played by Armenian musicians, and sung by Armenian vocalists. 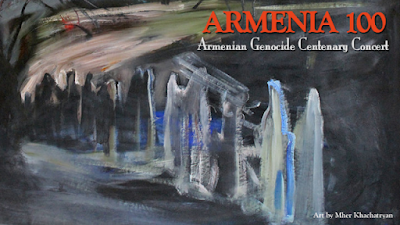 The focal point is the premiere of Stillman's original composition, "When the Music Stopped," which combines narration with evocative music, exploring the horrors of genocide and emerging as a celebration of the resilience of the human spirit and Armenian culture. A performance review published in Armenia Weekly paints lavish and vivid details that evoke the sense of being in the audience. Tune in to experience it for yourself on Rhode Island PBS and Learn. 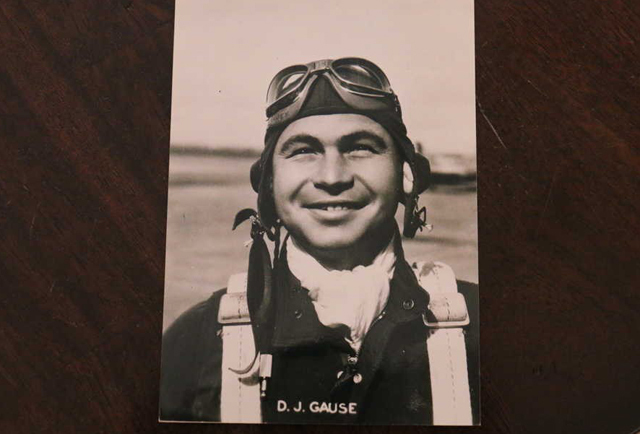 On Memorial Day, May 30 at 9:30 p.m. (following the National Memorial Day Concert from Washington, DC at 8 p.m.), Rhode Island PBS presents the television premiere of War Journal: The Incredible World War II Escape of Major Damon "Rocky" Gause. The film, by World War II Foundation and Tim Gray Media, tells the true story of one of the most impossible escapes in World War II. American airman Damon "Rocky" Gause escaped a prison camp on the Bataan Peninsula in 1942, swam to nearby Corregidor Island, and then sailed with U.S. serviceman William Lloyd Osborne in a leaky 20-foot fishing boat from the Philippines to Australia. Fifty-two days and 3,200 miles later, the two Americans reached freedom. Despite facing typhoons, constant threats from Japanese ships, submarines and airplanes, a lack of water and food, and even a visit to the world’s largest leper colony, both Gause and Osborne survived to recount their harrowing ordeal. Filmed in Bataan, Corregidor, and in Manila, the 90-minute documentary is narrated by three-time Emmy Award-winning daytime soap opera star Chandler Massey. Actor Kyle Chandler (NBC’s Friday Night Lightsand the films Argo, Zero Dark Thirty and Carol) provides the voice of Rocky Gause, with Tom Kane voicing William Lloyd Osborne. Using the journals of Gause and Osborne, archival footage and photos, and interviews with Gause's relatives and Army associates, War Journal chronicles the unimaginable tale of two American servicemen who survived one of the deadliest conflicts in World War II. Also in May, Rhode Island PBS is pleased to encore two World War II Foundation and Tim Gray Media documentaries recently nominated for Boston / New England Emmy Awards. These two films will share 10 p.m. Thursdays in May with two more documentaries from the same award-winning filmmakers Tim Gray and Jim Karpeichik. The first Emmy-nominated work airs Thursday, May 5. Omaha Beach: Honor and Sacrifice recalls the devastating events surrounding the landing on Omaha Beach on D-Day, June 6, 1944, as well as the touching reunion 70 years later. Read the story here. 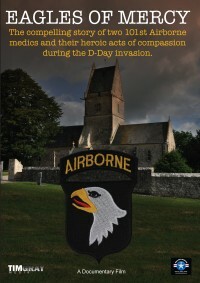 On Thursday, May 12, Eagles of Mercy tells the story of two American 101st Airborne (Screaming Eagles) medics caught in a church in Normandy, France during the opening hours of D-Day. Outside a savage battle raged all around them. The church changed hands several times with American and German forces over-running the village of Angoville-au-Plain. Inside the small church the wounded wore both Allied and Axis uniforms and civilian clothing. The American medics, Robert Wright and Kenneth Moore of the 2nd battalion, 501st PIR, treated all who were brought into the 12th century Norman church, no matter whether they were friend or foe. On Thursday, May 19, Escape in the Pacific recalls the events of April 4, 1943, when ten American prisoners of war and two Filipino convicts executed a daring escape from one of Japan’s most notorious prison camps. The prisoners were survivors of the infamous Bataan Death March and the Fall of Corregidor, and the prison from which they escaped was surrounded by an impenetrable swamp and reputedly escape-proof. Theirs was the only successful group escape from a Japanese POW camp during the Pacific war. Escape from Davao is the story of one of the most remarkable incidents in the Second World War and of what happened when the Americans returned home to tell the world what they had witnessed. The second 2015 Emmy-nominated film from the World War II Foundation and Tim Gray Media airs Thursday, May 26 at 10 p.m. America St. Nick describes the special 1944 Christmas party organized by American soldiers in the small town of Wiltz in Luxembourg for the children - for all the townsfolk - who had not been able to celebrate their traditional St. Nicholas Day in nearly 5 years because of the war. National Academy of Television Arts and Sciences - New England Chapter will announce this year's Emmy winners during its award ceremony on June 4.